Play revolves around drawing loot from a cloth bag and stealing from the other pirates in order to gain the most valuable stash of treasure. 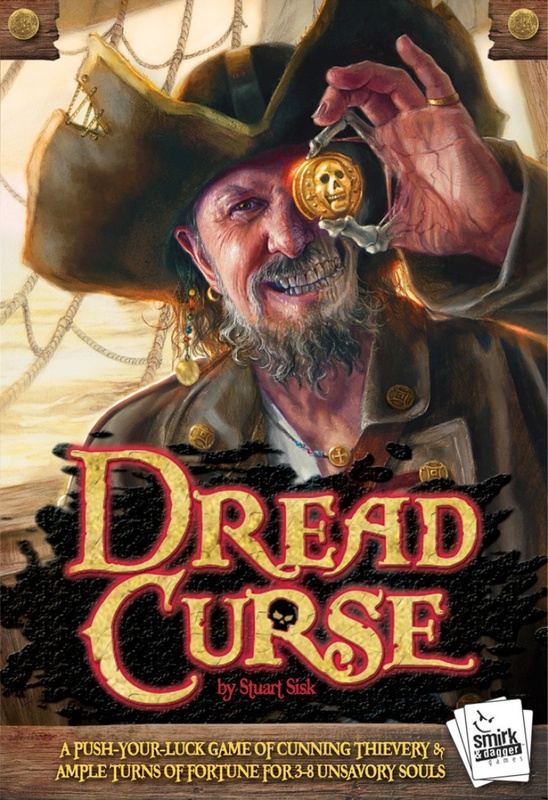 Each turn, players reveal coins from their hidden cache to win the captaincy or one of the other seven crew assignments, each of whom are able to draw from the bag in a unique way or use a special “cheat” ability available only to that pirate. 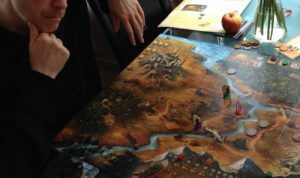 Stay in as long as you dare to grab more gold, but beware the Black Spot for if you end the game with it in your stash, you automatically lose.